harry connick jr. | Doc is Blog-tastic! 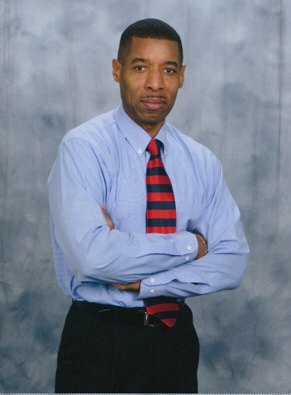 : #1 as the CEO of Me Inc. The final season of American Idol hits TV screens in January. So Jennifer Lopez, Harry Connick Jr. and Keith Urban are on the road doing their star search. Thousands of wannabe’s have taken to the Idol stage. 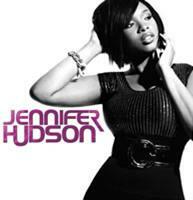 But it’s Jennifer Hudson who’s turned ‘singing in church’ into star-studded stage performances. Hudson tells Glamour magazine “When I hear people say, ‘Jennifer Hudson, Oscar, Grammy winner,’ I’m like, Who are they talking about? That’s me? Certain things you can never really get used to.” She knows something about having the right mojo for handling setbacks in careers, brands and dreams. Her journey on Idol did not end up how she might have originally hoped. She wasn’t among the finalists, having been booted from the show weeks earlier. Since then she’s had huge success in the big leagues. For her, it’s like being an undrafted athlete who goes on to earn MVP status in the championship game. When she left Idol few (if any) saw her as a Grammy or Oscar winner. Her role in the movie Dreamgirls and her debut album sky-rocketed her acclaim. That’s the thing about being undrafted and having the right perspective. You feel a breakthrough coming even when others think it’s unexpected and uncharted. Hudson endured the loss on the Idol stage. But it’s the loss of her mother, sister and nephew due to violence that was the hardest to bear. So she credits her son for not losing her sanity. Many see her as an undisputed rock in family and showbiz. Her success has included turning setbacks into comebacks. Final season of American Idol coming soon. Hits TV screens before being sent to the moon. J-lo, Harry and Keith getting set. For fans place their winning bet. Thousands made the star search page. And JHUD made it to main stage. From singing in church back in the day. To star-studded performances that pay. Tells Glamour Magazine it’s hard to think. All that’s happened in a wink. Oscar, Grammy winner what they call her. Some things she just can’t believe for sure. “Who they talking ’bout” she wonders. And other things she kinda ponders. The right mojo for handling dreams. From setbacks to award-winning teams. Journey on Idol wasn’t to the top. But that wasn’t her last stop. Getting booted earlier on the show. A stepping-stone to helping her grow. Having success in movies and music scores. In the big leagues is where she soars. It’s like being undrafted in name. And becoming MVP in championship game. After Idol few saw her next move. But she got on the Oscar and Grammy groove. Role in Dreamgirls and debut album fame. Helped sky-rocket her in acclaim. That’s having the right perspective even if undrafted. A breakthrough’s coming though unexpected and uncharted. Hudson endured loss on Idol that year. But later loss of mother, sister and nephew was hard to bear. Credits her son in keeping her sanity. Not getting caught-up in thoughts of vanity. Many see her as undisputed rock through the setbacks. A star in her family and showbiz from related comebacks. Talkback: Who’d you like to see make a return appearance on Idol’s final season?